A while back, the animated reboot for Dr. Seuss' How The Grinch Stole Christmas was moved to a week earlier, so as to avoid competing with Warner Bros' Justice League: Part One. Well, it appears that wasn't a far enough move for the comfort of Universal and Illumination Entertainment, as they've once again bumped their animated remake of the holiday classic. Apologies to those of you eagerly awaiting the film, as it has now been rescheduled for November 9, 2018. News of the shake-up was pushed by The Wrap, as they'd obtained information of the release date swap. 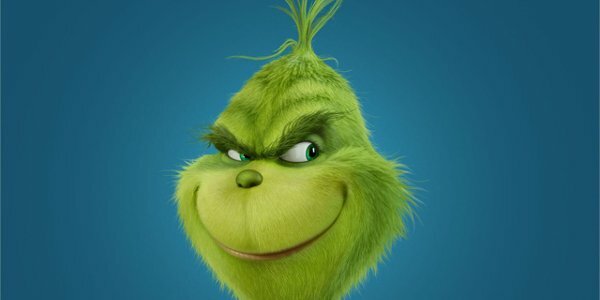 Dr. Seuss' How The Grinch Stole Christmas is a CGI animated refresh of the 1966 holiday classic, with Benedict Cumberbatch in the role of the titular Grinch. As the story goes, the Grinch will try to steal the holiday spirit from the Whos down in Whoville, armed with his dog Max and a rather thrifty Santa costume he made himself. Along the way he'll meet Cindy-Lou Who, and the rest, as they say, is history. The new release date shuffle may seem like a mysterious offing at first, but looking at the box office calendar for November 2017, the week that Dr. Seuss' How The Grinch Stole Christmas was supposed to open would have been in the crosshairs of not one, but two different superhero franchise pictures. With Marvel staking November 3 for Thor: Ragnarok and DC claiming November 17 for Justice League: Part One, this would put The Grinch in the middle of what could be a strong second weekend for the man from Valhalla, and it would ensure a huge second drop-off as the Justice League takes form. So naturally, a whole year should distance the film from any serious competition, right? Well, yes and no. Right now, November 9, 2018 is unclaimed, so Dr. Seuss' How The Grinch Stole Christmas does have an open field to run in. However, Disney has an unspecified fairy tale slated for November 2nd, and should this year's Fantastic Beasts and Where To Find Them take off, its presumed sequel has a cozy home waiting for it on November 16th. So really, all Universal is doing is trading off one shooting war for another, less uncertain, conflict at the box office. Though with the extra year of lead time, the studio could make some aggressive plays through teaser art and trailers that could help lead to a very merry Christmas at the holiday box-office in 2018. For now though, we'll just have to wait and see if Dr. Seuss' How The Grinch Stole Christmas steals ticket sales from both of its competitors, on its new release date of November 9, 2018.